This looks like a great event. 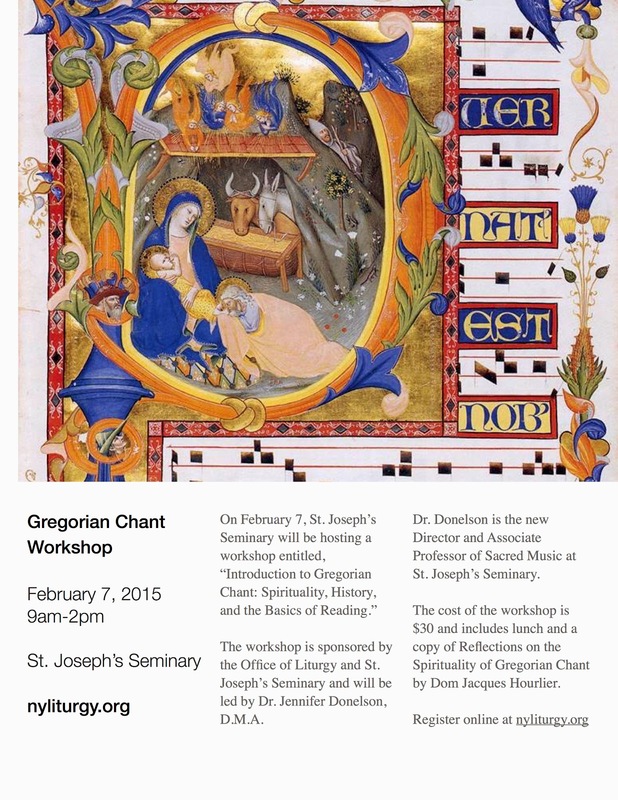 I hope to bring some teachings back to my home parish, where the liturgical program is in shambles. Recently, I brought several guests to Mass so that they can see the Catholic Mass. Predictably, they were unmoved by the cheesy, infantile, boring hymns sung by the congregation. They will not be returning. However, these same people are drawn to the beauty of Gregorian Chant. Given the Church&#039;s efforts to evangelize, I am confident that the beauty of sacred music will inspire people to join the Church. The current Mass, with its musical program designed as though for the solo kindergarten recorder, inspired no one to join. Imagine if St. Augustine entered a Church today! I&#039;m the Music Director of St Augustine Church in Park Slope. We regularly offer Tierce (in Latin) before 10:30 Sunday Mass and Vespers (also in Latin) before 5pm Sat Mass. Both Tierce and Vespers are entirely chanted. We also do chant proper to the day for Sat/Sun masses during Communion. Previous PostPrevious Music for Rorate Masses – For the Ordinary Form!